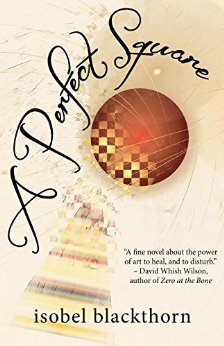 I am delighted to share this warm, 5 star review of my novel, A Perfect Square, from Kate Braithwaite, author of Charlatan. “A Perfect Square is a clever, thoughtful literary novel which also manages to have a cracking plot and complex characters. This is a book that grew and grew on me. I’ll admit to a false start the first time I picked it up. I felt there was a lot of moving around in the characters’ heads to the recent past, the far past and then back to the present. But when I sat down with a proper amount of time to dig into the story it was an absolute pleasure. Blackthorn has a great plot and lots of writing talent. Her descriptions are wonderful – both of people and places – and there was lots of fabulous language to enjoy. I loved the two parallel mother/daughter stories and was impressed by the way they intersected. It was also great to read so much about the creative process and to consider the challenges of creativity and motherhood. Previous Post A Spanish edition of The Drago Tree is on its way!